Coordinating training, competing and social events. Ensuring that the club fees are set at an appropriate level and finances are accounted for and managed effectively. Promoting communication between club members. Providing information to new or potential club members. Details of our committee members is below. Please feel free to contact them should you have a specific enquiry regarding any particular area of Tri London. 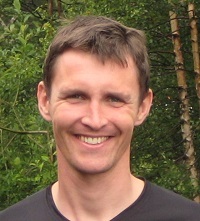 Rob took up triathlon in 2006, having rowed competitively at university and grown up with a keen interest in mountain pursuits. He has raced over a full range of triathlon distances from sprint to Ironman, including the Norseman in Norway. 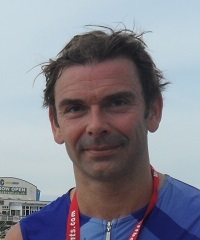 His favourite races have been middle-distance triathlons in the English Lake District finishing with runs on the fells. He does have an unfortunate history of frequent unplanned and dramatic dismounts from his bicycle! Chris has no bio yet! Andy started his triathlon career in 2009 rather late in life at 38, having just completed his first marathon and after having realised he really enjoyed bike racing after completing the London duathlon a couple of times. The only reluctance was whether 1500m was too far to swim. Initially only doing Olympic distance he soon found himself on the slippery slope to going longer and longer. Andy has been Club Treasurer since Autumn 2014. I started triathlons in 2011 as a way to get into swimming and running alongside road cycling – having turned to the dark side from mountain biking in late 2010. Having completed a full Iron-distance tri in 2013, I joined Tri London afterwards later that year to try and find like-minded people to keep training with. Mountain biking is still my favourite sport, but I’m still working on my swimming and manage to enjoy the annual swim gala regardless! Katie has no bio yet! Jo has no bio yet! Cat has no bio yet! Four years ago I moved to London after graduating from university. I joined Tri London to try and maintain some fitness and counter all the London socialising (drinking). 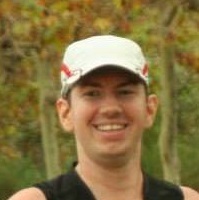 I had never raced triathlon before, but the enthusiasm of the people I met was contagious and soon enough I had the bug! Tri London has led me to meet some of my closest friends, travel to amazing places, and learn about all sorts of crazy events I never knew existed. After I went to Chicago in 2015 to compete at the World Championships Standard Distance, I decided that in 2016 I would focus more on cycling, culminating in a trip to India to cycle in the Himalayas. This year I am looking to get back into triathlons, but I am also working on my track cycling accreditations with the hope of doing a bit of track racing. As co-social sec for 2017, I hope I can encourage people to share on their knowledge and experiences in the way that so many people have done for me over the last four years. 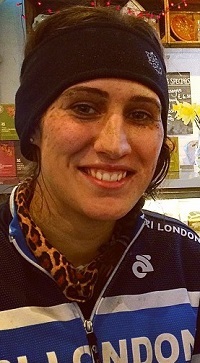 Roz joined Tri London in 2008 after a two year background in running. More stress at work equated to longer distance running and having sustained too many injuries whilst focusing on running marathons she was advised that training across three disciplines would lower the risk of injury. Two sprint distance triathlons later she was hooked and in a moment of insanity found herself pushing the ENTER NOW button for Ironman Germany 2009. This led to an iron distance race addiction every year since. 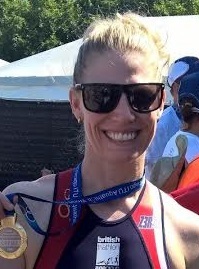 In addition she has represented the GB AG Team at Middle Distance & Long Course events resulting in 2 European Long Course Gold Medals and 2 silver! 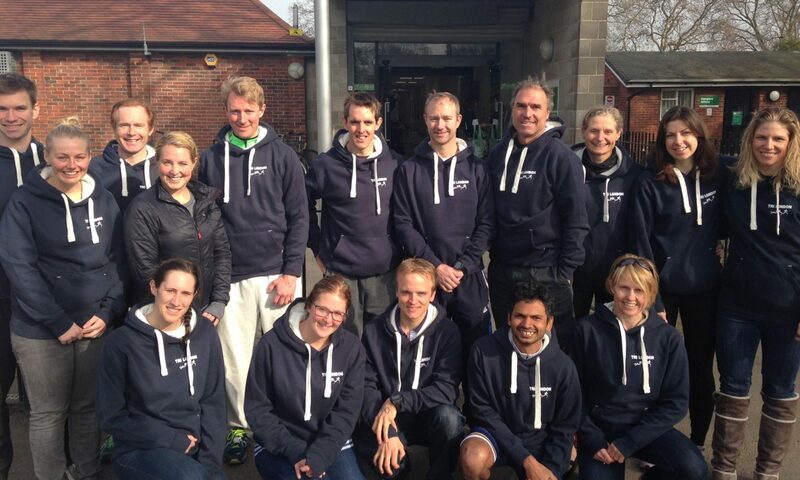 In addition Roz is guide to a VI athlete which is an extremely rewarding role. Tri London has provided the perfect training opportunities and a chance to train with like-minded souls with an unrivaled experience in all things tri whilst at the same time making many new friends. 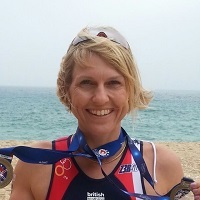 The theory on less injuries is yet to be proved but her decision to change to tri and join Tri London has resulted in achievements that she believes would never have been possible without the club. Joining the committee in what will be my 5th year as a member of Tri London finally gives me a chance to try and give back to our club what I have been offered over the years. The club has had a hugely positive impact, not only on myself but my family, and the benefits go way beyond the race results. The biggest ‘result’ for me has been the valuable friendships I’ve made; several of my favourite and best friends are now on this committee. These friendships have been formed by the many race days and trips away we’ve shared, as well as after training and post-race socialising that is so important to maintaining the warm network. Other results include triathlon and aquathlon successes as well as an ongoing sponsorship from Giant Camden as their women’s Liv brand ambassador and the formation of a local women’s cycling club; Team Liv Camden. In 2017, within my role as co bike co-ordinator alongside Ciaran, it is my hope that by welcoming the women’s club to train and participate with our club, this will offer the benefits of greater depth in ability for both clubs and further encourage women into cycling and triathlon.